The Euro currency carries a strong seasonal tailwind for the next few weeks. Rallies spring from bullish commercial positions in low volatility environments. 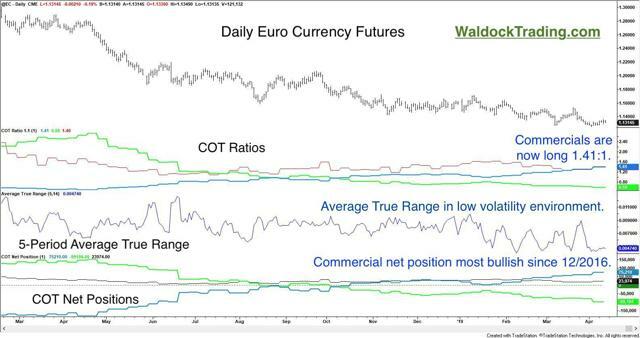 The multi-week time frame makes this analysis suitable to Euro currency ETFs, as well. The Euro currency has drifted lower for almost exactly one year from the last high print worth mentioning around $1.30 to the US dollar. 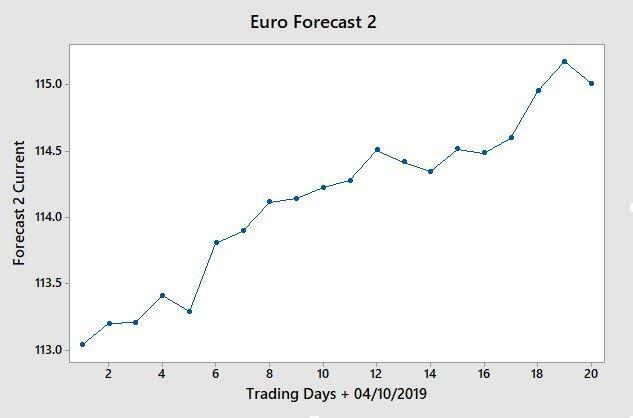 We think the increasingly bullish position of the commercial traders along with pending seasonal effects set the Euro currency up for a period of strength in the near future. I’ll show you both of our seasonal forecasts and the out of sample hypothetical performance of the model we’ll be employing. We’ll also look at the bullish position of the commercial traders in the Commitments of Traders report, which has increased in each of the last nine weeks. Forecasting and trading are two different endeavors. One places cash over humility. Our seasonal trading forecasts always come with a margin error built into the protective stop-loss order. 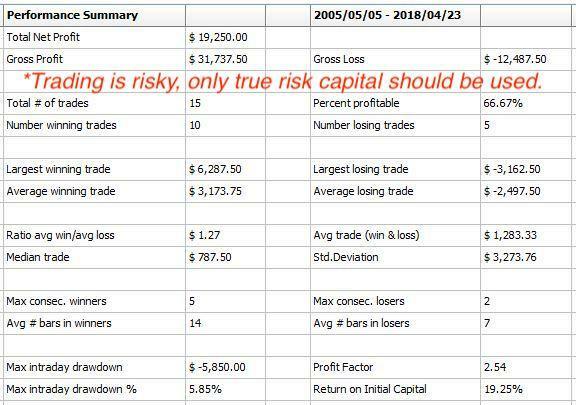 Nearly thirty years of trading has taught me two things that must be part of every trade; initial risk assessment and resting stop-loss orders. Every morning I read a headline that makes my head spin. Occasionally, the markets spin, too. I’d sooner be stopped out with a manageable loss than a sheep being led to slaughter. “Capitulation” is for the unprepared. Despite last year’s loss on this trade, the overall out of sample equity curve is pretty good for the model as a whole. There are a couple of important features to note on this equity curve. First, the out of sample trades begin with trade number nine. Note also that despite what appears to be a bump in Euro currency prices last year, it’s the difference between the Euro currency measured during this period in 2018 and the same time period in 2017. 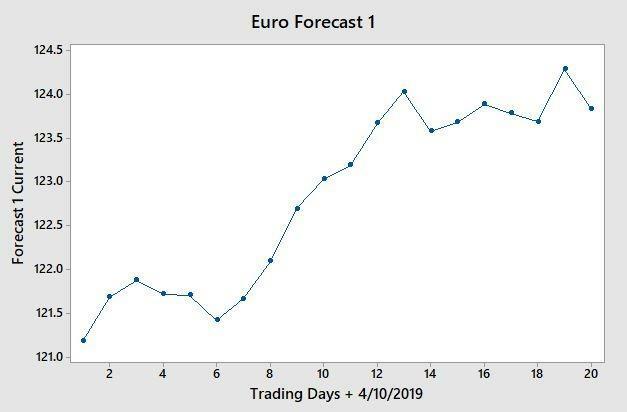 We are now forecasting strength in the Euro currency for the given period ahead in 2019. You’ll find the standard performance metrics below. As always, I include the Monte Carlo results because it helps flesh out the picture by increasing the sample size. Astute readers will note that the average return vs. the standard deviation of returns is not as high as usual. A good part of this has to do with last year's trade being a 1.5% loser. I usually like to see the average return about twice as large as the standard deviation of returns. That helps ensure that winning trades are consistently substantial. However, given the potential volatility of the Euro currency, I feel that we’re doing well to get our purchase made in the currently low volatility environment in which we’re trading. Commercial traders also make a habit of buying into low volatility markets, and we’re seeing them step up to the plate in the Euro. 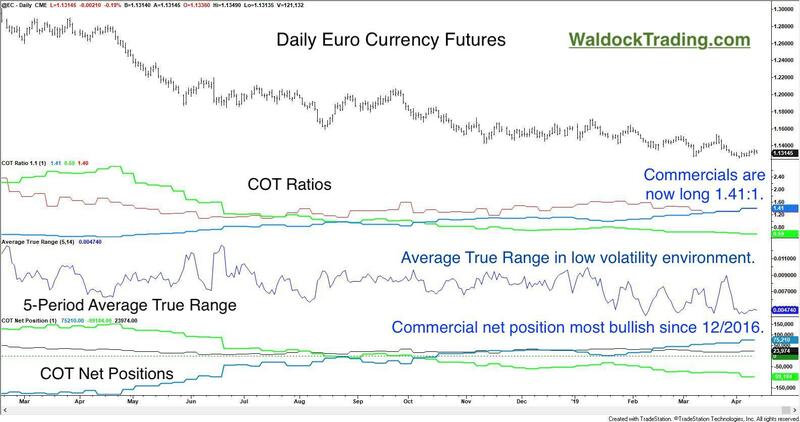 Classic COT Buy signals taking shape in conjunction with the projected seasonal window of strength. We expect this trade to trigger Friday night at the earliest. There are other factors considered in the actual trigger mechanism. Importantly, we know that we’ll risk about 1.5% from our entry price. That’s about 170 points or $2,125 per contract with the June Euro currency trading at $1.13 to the US dollar. Follow along and we’ll show you how the Commitments of Traders report can be used in your commodity and commodity-based ETF analysis. Seasonal trades and weekly reports, like the Commitments of Traders report, stretch the market’s movement out far enough to make ETFs like the Invesco CurrencyShares Euro Trust ETF (NYSEARCA:FXE), an unleveraged, positively correlated ETF, or the VelocityShares Daily 4X Long EUR vs. USD ETN (NYSEARCA:UEUR), which is a 4X leveraged, positively correlated ETN worth looking at for equity traders. For the sake of comparison, the Euro currency futures contract represents a €125,000 face value, for which $2,530 is required for initial margin in a futures account. There is no question that futures represent a more leveraged opportunity along with comparable risk. Disclosure: I/we have no positions in any stocks mentioned, but may initiate a long position in JUNE EURO CURRENCY FUTURES over the next 72 hours. I wrote this article myself, and it expresses my own opinions. I am not receiving compensation for it. I have no business relationship with any company whose stock is mentioned in this article.